This is Alex Anderson’s beginning quilt class! 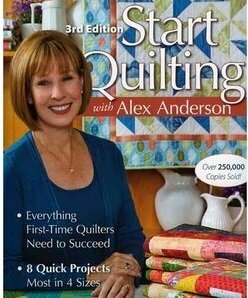 Gail will be following Alex’s format and you will learn all the basics from cutting and stitching accurately to machine quilting and sewing on a binding. This is the foundation you need for all of your quilt projects. ** This class meets once a week for five weeks.